Jim, we have enjoyed our Rumford fireplace 2 years now. This 48" LedgeStone is a copy of a LedgeStone Rumford I saw on your website. You see in attached picture it has had a lot of use - I don't need much encouragement to build a fire, and only burn hardwood. By the way, visitors are always impressed by this fireplace. 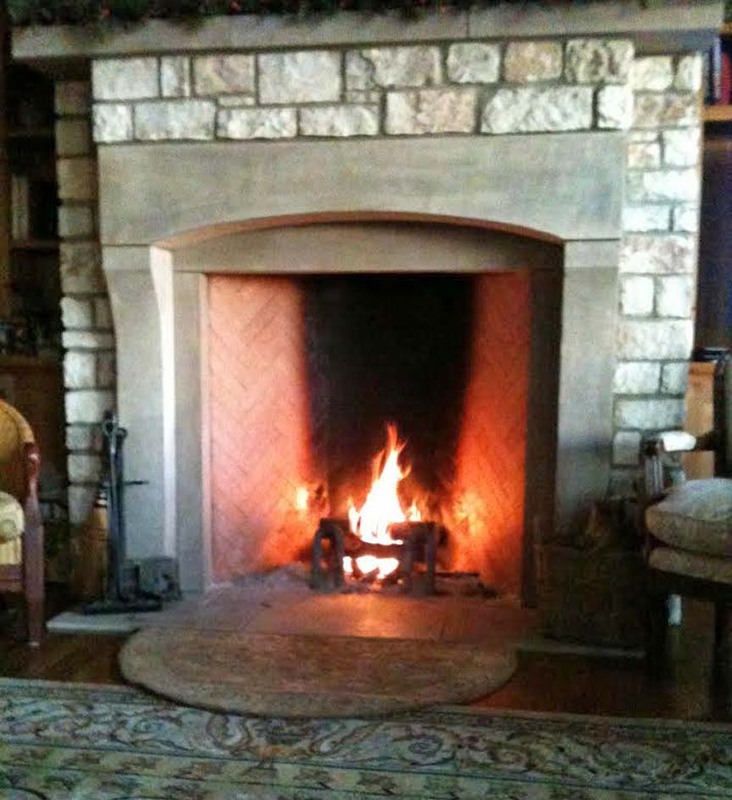 Mantel, lintel, pilasters, liner, & hearth of stained Texas Leuders Limestone, were crafted & installed by another resource found on your website - - Russ Thayer, Fredricksburg, TX (Hauenart Wood Bronze Stone). Fredericksburg only 15 miles west of Kerrville! All the best.